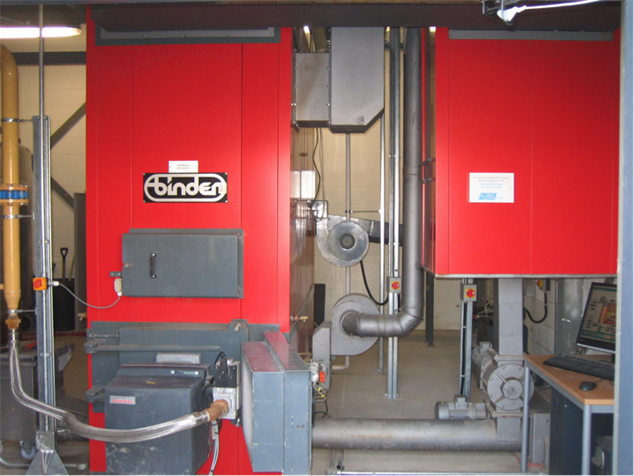 Sidcot School has made huge savings in CO2 emissions by converting inefficient oil boilers, supplying space heating and hot water, to Hargassner biomass boilers. The decision to convert the oil boilers to biomass with gas back-up is based on reducing the CO2 emissions of the school by using biomass fuel which can save 93% of emissions by oil heating or up to 97.5% if low carbon footprint pellets are sourced saving around 167 tonnes CO2/year. Leading Energy has helped Sidcot manage this conversion by using existing building space integrated into the main school and avoiding any additional outside plant rooms with the removal of the oil tanks allowing a better view of the frontage of this listed building. The contractors Aston Cord have worked at speed with the boiler supplier Wood Energy to ensure the RHI rate was captured prior to the July 15 degression.